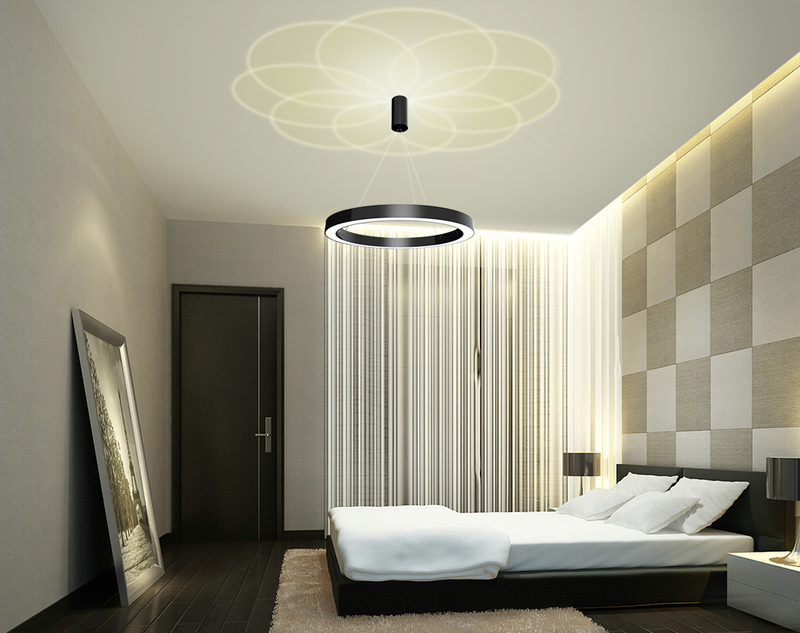 The Adot Circle LED ring pendant light gives your home a fashionable flourish with its bidirectional lighting symmetry. 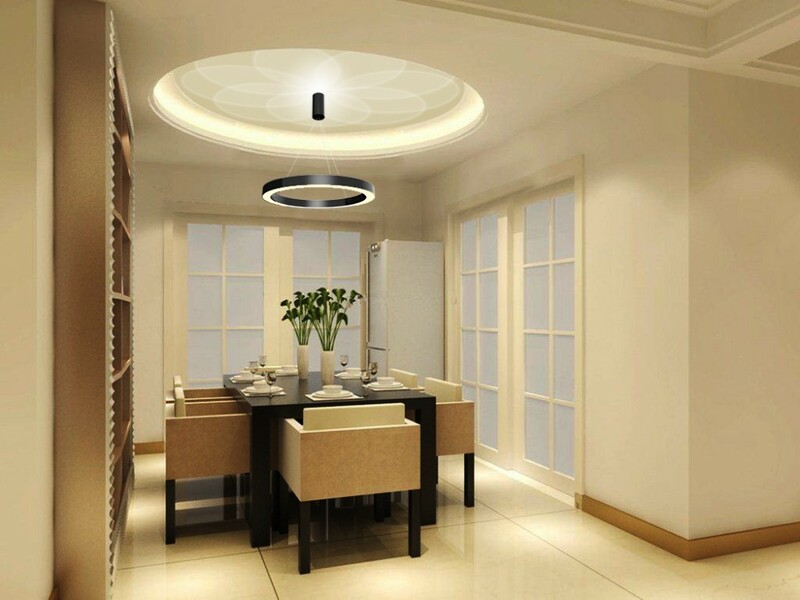 This energy-efficient ring pendant light attracts attention and admiration with a layered ambience that creates a wonderful ceiling accent while lighting up your space at the same time. Embracing modern lighting technology, innovative optical design and geometric simplicity, Adot Circle is the perfect piece that brings shine for a comfortable ambience and adds a bit character to accentuate the vibe of a room. Suitable for both residential and commercial applications, this exquisite pendant light looks best in contemporary spaces such as living rooms, dining rooms, restaurants, cafes, restaurants, studios, and lofts, among others. Available in 1-tier and 2-tier configurations, the sleek luminous ring pendant is suspended delicately from a trio of cables. The contemporary piece features opal polycarbonate shades contrasted against stylishly brushed black or brown metalwork. The ring-shaped metalwork is made of aluminum and precision engineered to present a seamless look. The aluminum circular frame is outfitted with the precision cut, impact resistant PC shade which delivers the optimum balance of light diffusion and light transmission. The optical diffuser softens the array of light in downward direction while giving Circle a clean visual image with its opal finish. A geometric blend of simple design and clean line makes this pendant a great modern focal point above any table. Adjustable wire length allows you to create your desired layout to accommodate a variety of ceiling heights. 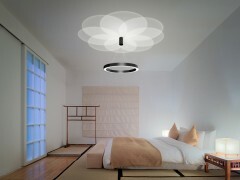 The circular light fixture creates a fascinating ring of light that floats effortlessly in space. 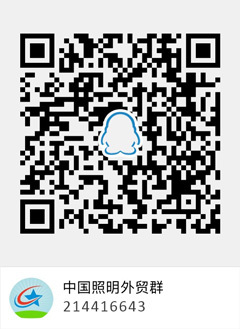 Its downlight module incorporates a circular array of Lumileds LUXEON LEDs to deliver exceptional efficacy and high flux density with tightly controlled correlated color temperature (3000K) and decent color rendering (80 CRI). High quality diffuser softens the light for gentle illumination without shadows or glare. 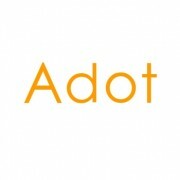 The Adot Circle can create an exciting uplight that lights up the artistic atmosphere in any room. The uplight module creates an extraordinary show of floral light pattern through precisely designed optical lenses. The breathtaking nighttime beauty presented in either colorful RGB light or elegant monochrome whites offer a beautiful marriage of art and light. 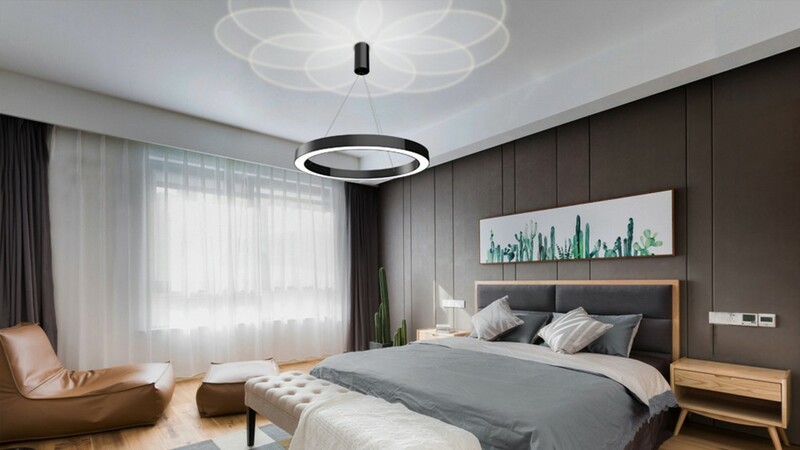 With multi-step dimming capability of each module for personalized lighting effects, Adot Circle brings striking visual presence and contemporary glamour to otherwise minimalist settings.